Microsoft decided to go big—literally—in announcing the latest Surface tablet, the Surface Pro 3. But up until the big reveal, speculation said that Microsoft would in fact usher in a new wave of smaller, inexpensive tablets like the Apple iPad mini or the Amazon Kindle Fire HDX, which we evaluated as a potential competitor to what people referred to as the Surface mini. For that matter, the traditional Windows RT-powered Surface was a no-show, too. 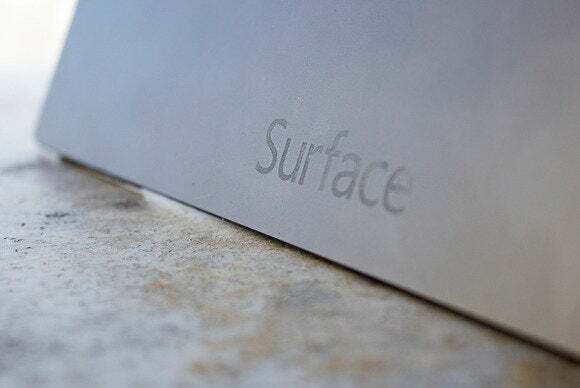 For now, the only confirmation of whether a Surface Mini exists comes from Bloomberg, which cited anonymous sources in its report that Microsoft backed off the Surface Mini over fears that it would wither and die from competition from the iPad mini and competing tablets. But Panos Panay, Microsoft’s Surface chief, told a different story when asked about the fate of the Surface mini after the event. Recall that it was Panay, who last October, told Geekwire that “multiple aspect ratios and sizes” of the Surface were in the works. “We have a lot of great things that we are thinking about and working on, and there are multiple aspect ratios and sizes and awesome things to come from Surface,” he said then. Did potential competition from tablets like the Kindle Fire HDX doom the Surface mini before it could be launched? On Tuesday, Panay was asked again about the Surface mini. 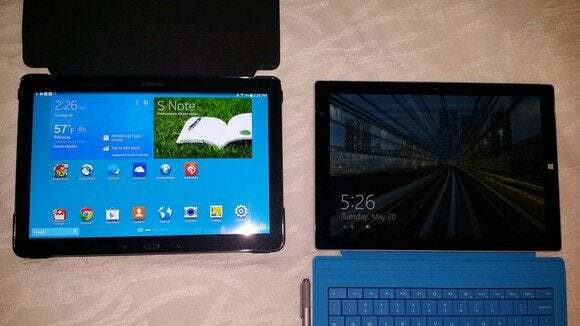 This time, Panay said that the tablet he was referring to was the Surface Pro 3. So much for the Surface mini conspiracy, right? It’s dead. Well, it was until we asked Brian Eskridge, a senior manager at Microsoft, the same question. Not exactly the stake in the heart one might have expected when talking about the Surface Mini. But Microsoft has a delicate balancing act in place: On one hand, tweaking the Surface to enable lower price points can only help sales. The Core i3 based version of the Surface Pro 3 will cost $799, $100 less than the existing Surface Pro 2. 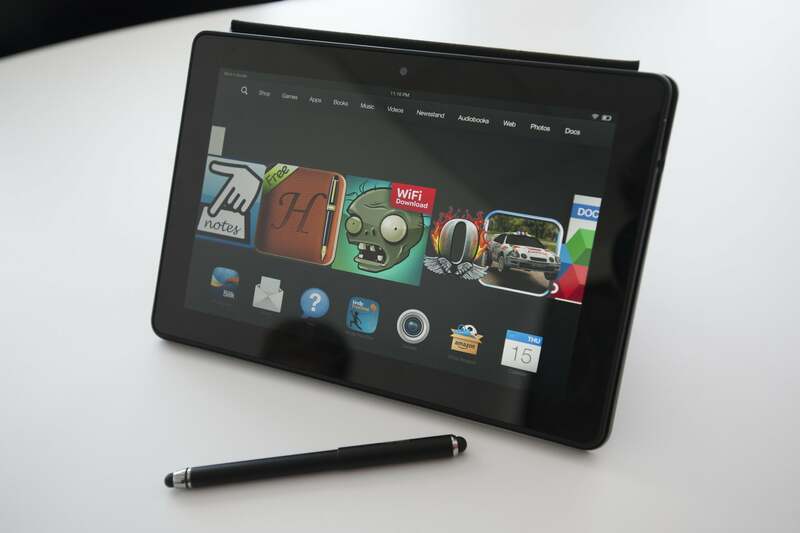 For a tablet that continues to lose money, that may be a double-edged sword. But one of, if not the argument for the cheaper Surface mini has been that smaller tablets are more suited for content consumption, such as apps and watching movies on the train. That’s not the direction that Microsoft took with the Surface Pro 3. Bob O’Donnell, principal at TECHnalysis Research, said that by moving the Surface Pro 3 to a 12-inch screen, Microsoft is making the argument for the PC, rather than the tablet. “And that’s how most people are using them anyway,” he said. The Surface Pro 3 looks very similar to the 11-inch Samsung Galaxy Note Pro. In general, most workers tend to favor working on a larger display. In 2003, Microsoft itself sponsored research that showed users increased their productivity by 9 to 50 percent when using a massive, 42-inch curved display. While the Surface isn’t nearly that size, the implication is that being able to see more at once improves a worker’s efficiency. Eskridge also deferred questions to staffers in Terry Myerson’s group when asked what developers should think about coding in Windows RT. Although it’s possible that a smaller Surface tablet would include Windows 8.1 (and its Desktop, with its tiny icons) it’s unlikely. “There’s a place for Windows on ARM,” Eskridge said, citing Myerson, the executive vice president in charge of all operating systems at Microsoft. It’s hard to say whether or not that place will be within Microsoft, or not. Microsoft has already said that it will offer Windows for free on devices with screens smaller than nine inches. In retrospect,that looks a bit more like a company which is working to encourage others to build the low-cost tablets it may lack the expertise to build itself. In other words, the Surface Mini may never ship. But a third-party Windows mini? That still may be a possibility.